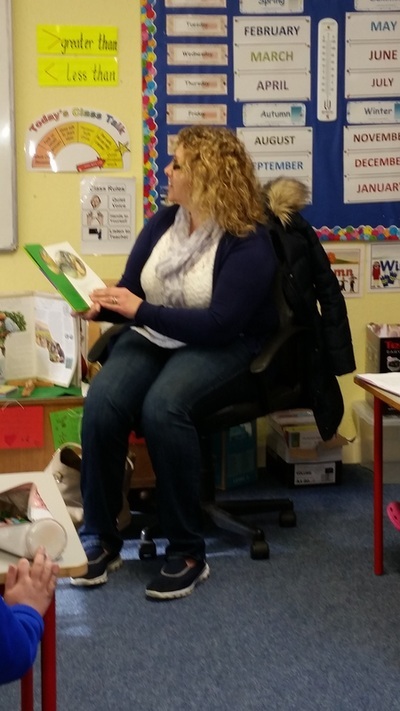 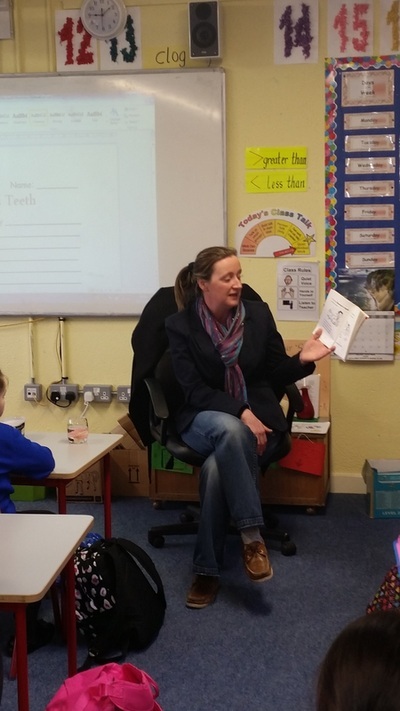 On Thursday we had a visit from Dawn, an Education Officer working at Dogs Trust in Dublin. 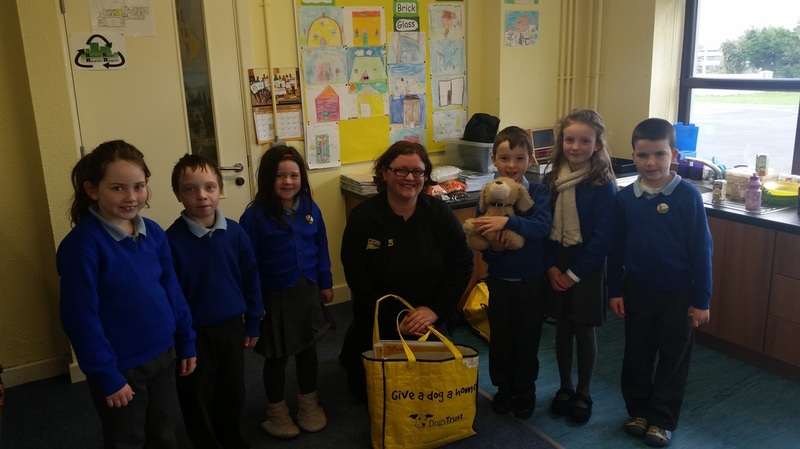 Dogs Trust is Ireland’s largest dog welfare charity. 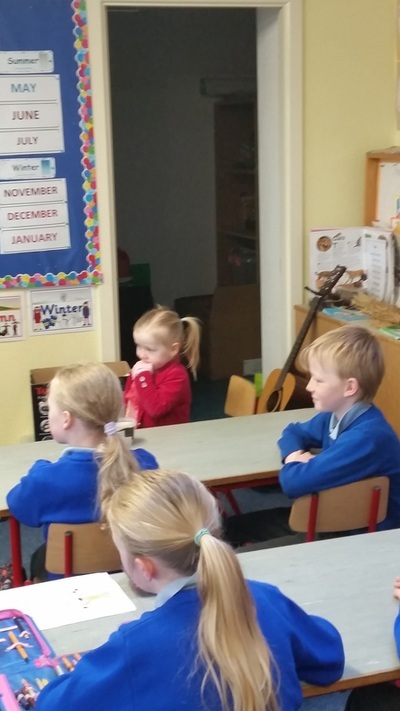 Officer's focus on teaching 5 -12 year olds about responsible dog ownership, and how to be safe around dogs through curriculum linked workshops that are educational and lots of fun.The children really enjoyed the workshop and it helped develop the children's understanding of the level of responsibility that is required when owning a dog. 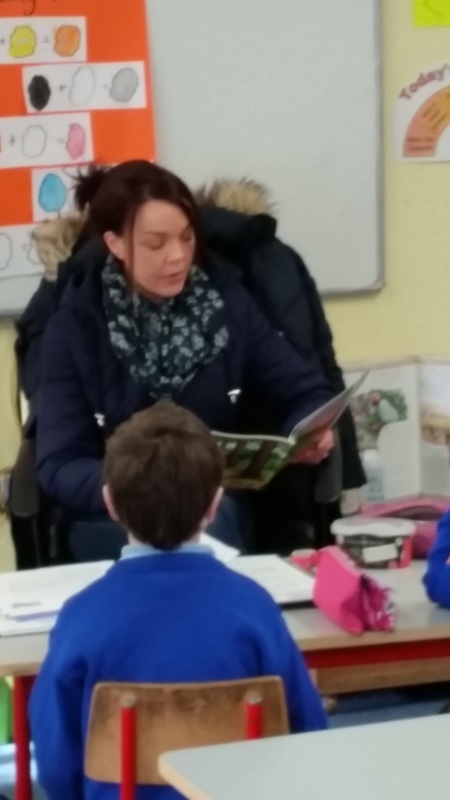 We had so much fun learning all about how to care for dogs. 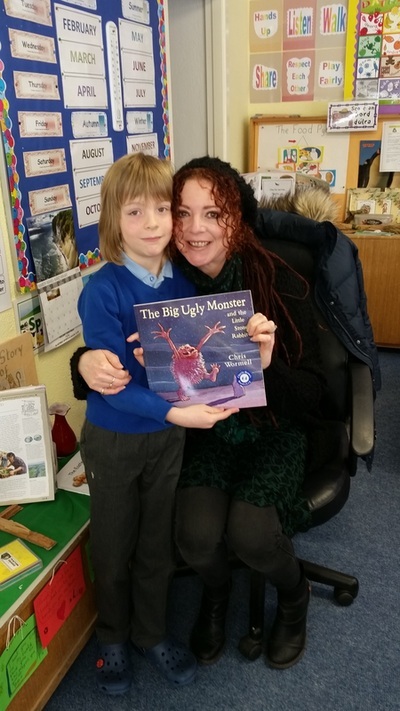 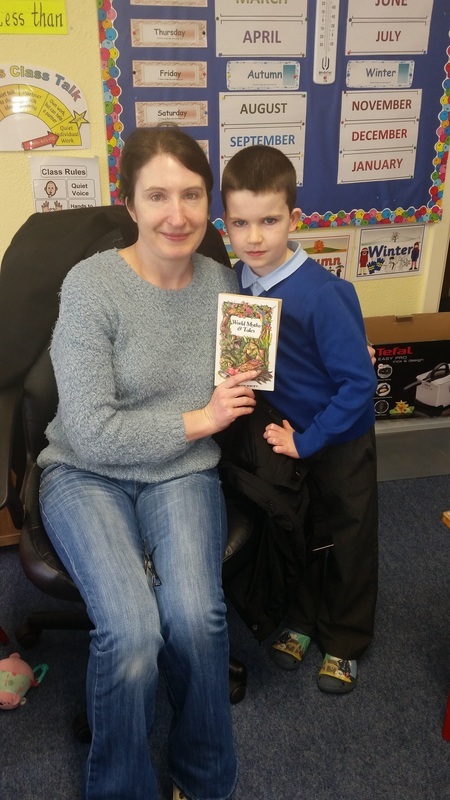 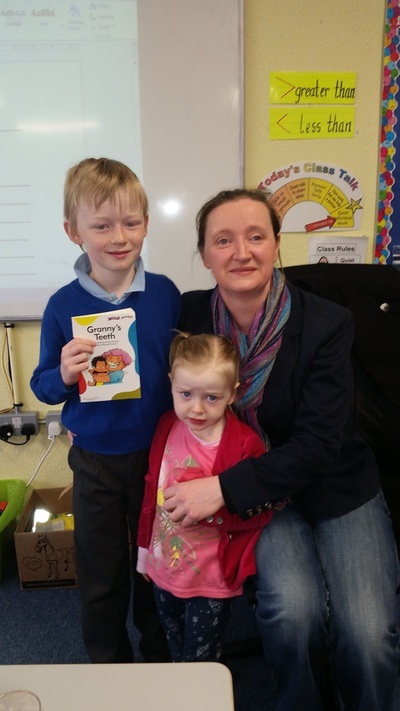 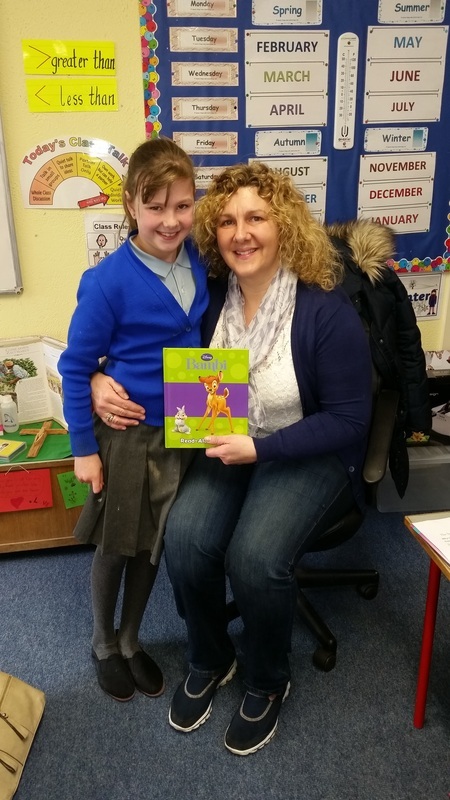 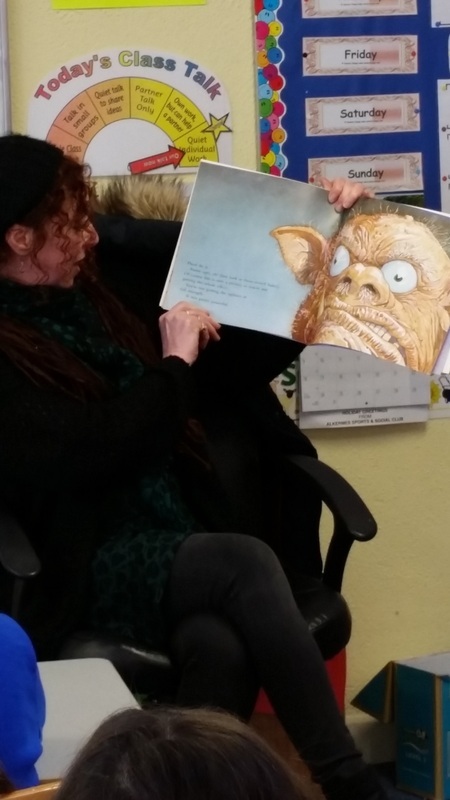 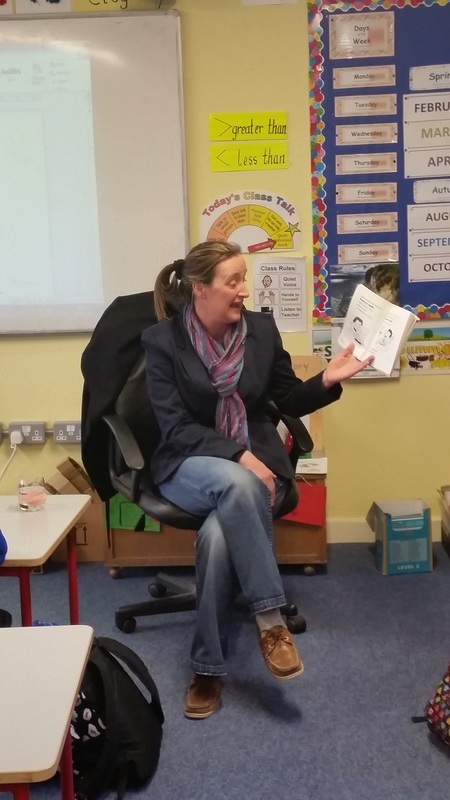 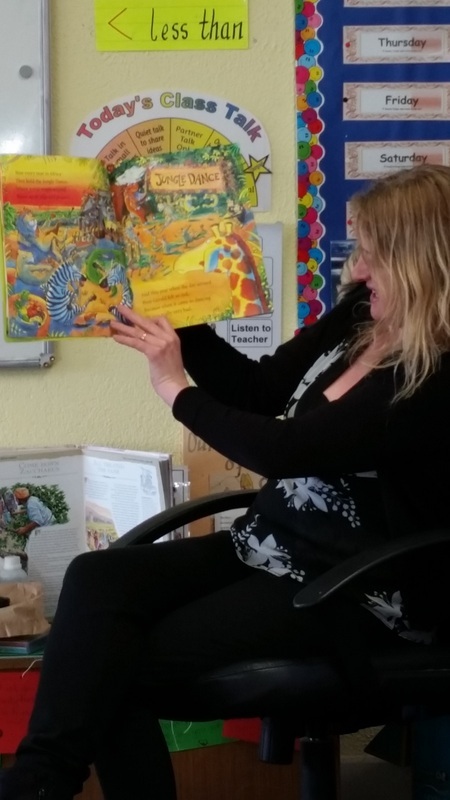 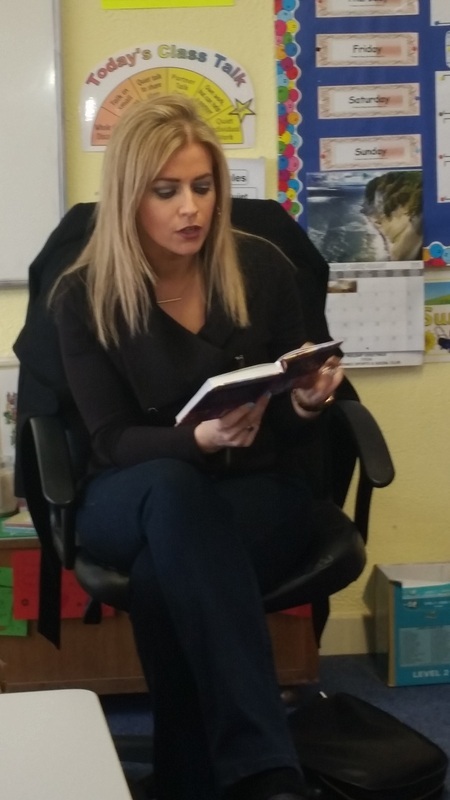 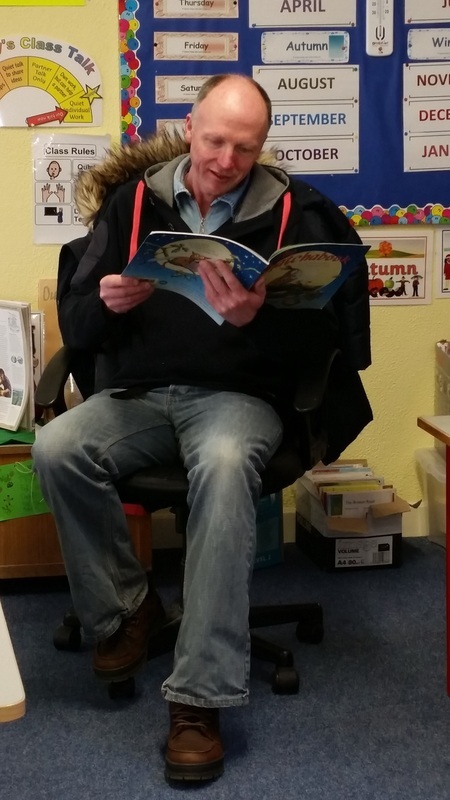 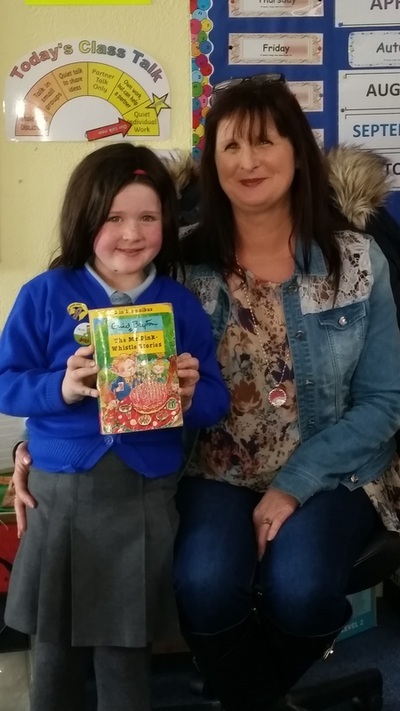 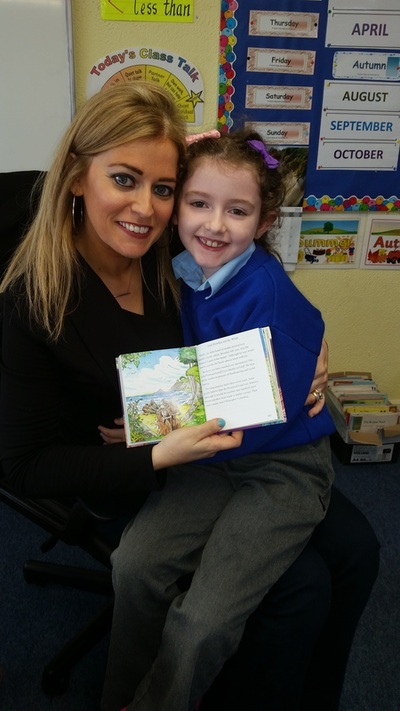 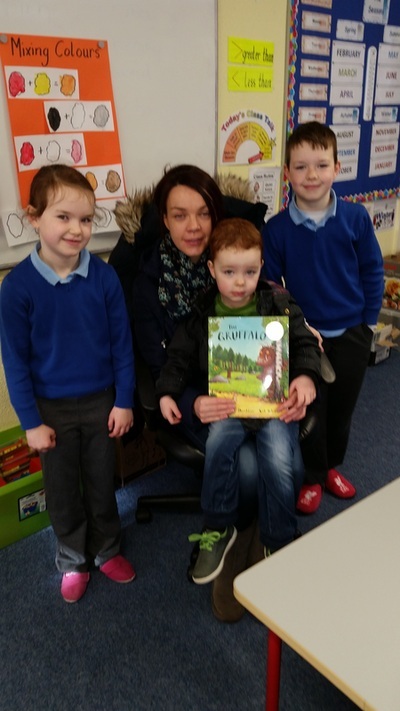 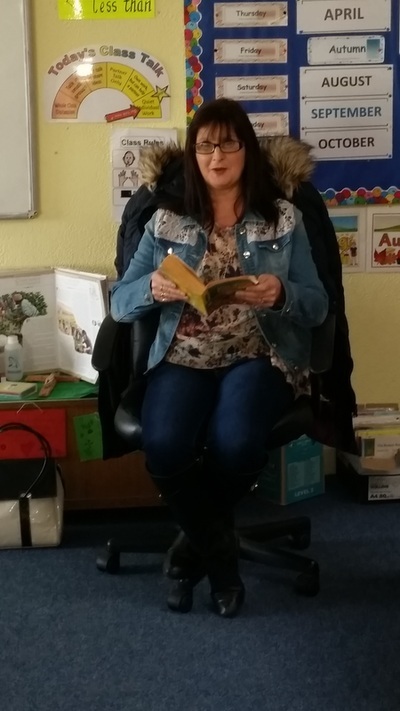 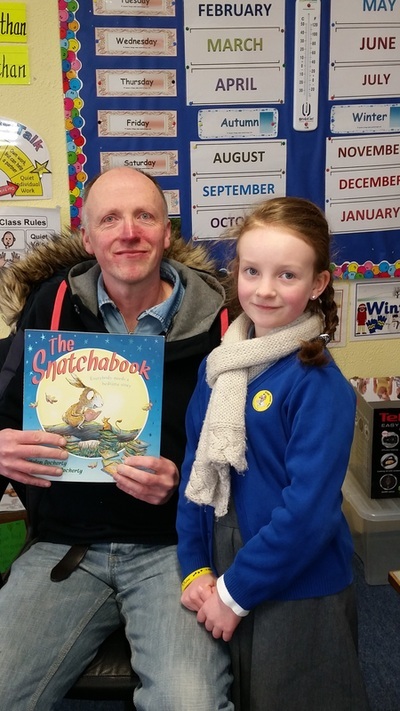 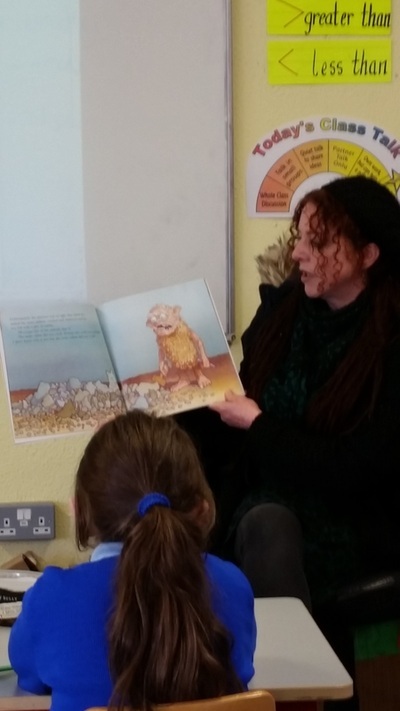 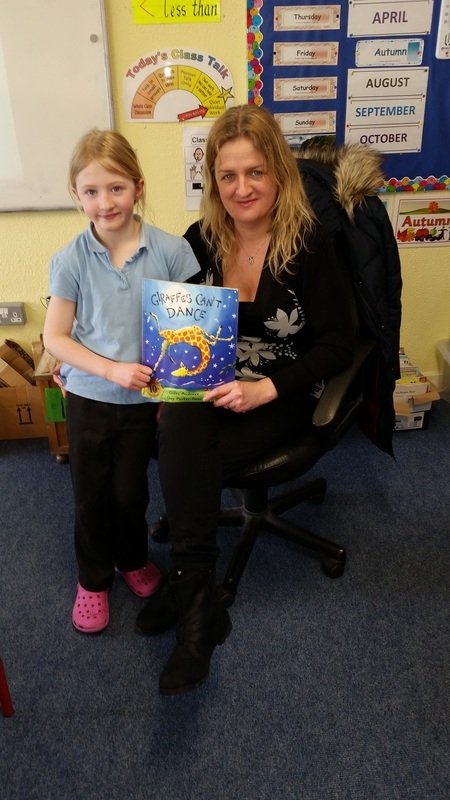 To celebrate World Book Day on 5th March we invited our parents to visit our classroom to read our favourite stories to us. We really enjoyed this experience as the photos below show. 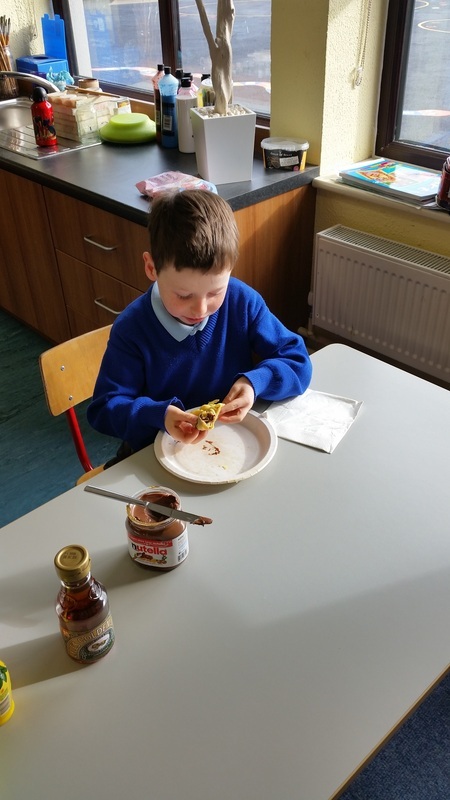 We even got some lovely treats for being such great listeners and Donnacha's Mammy brought some sample toothpaste for us so we can take good care of our teeth after eating our treats. 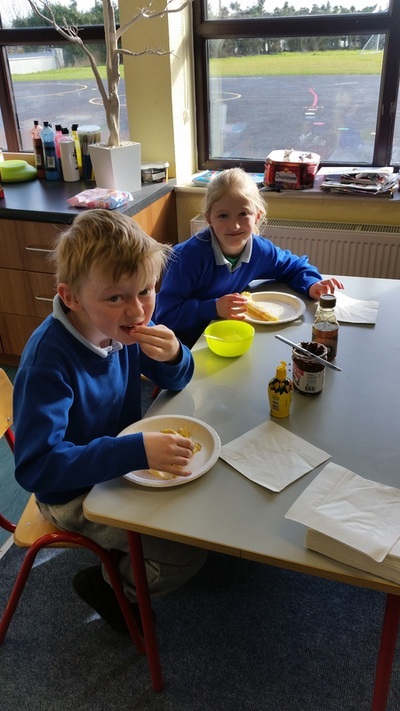 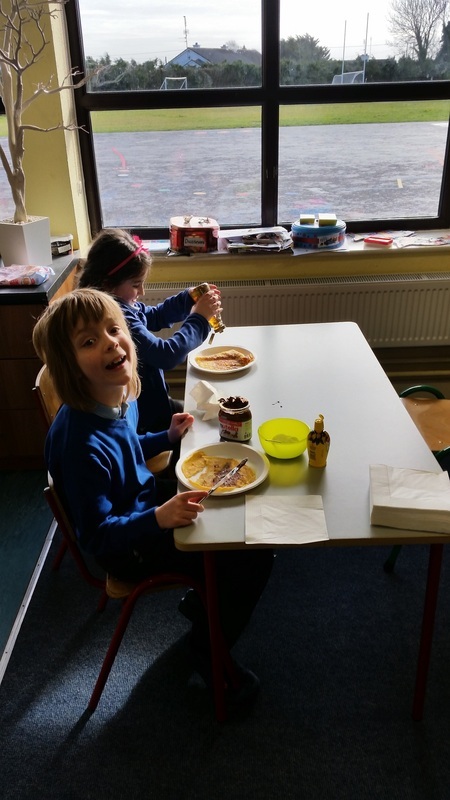 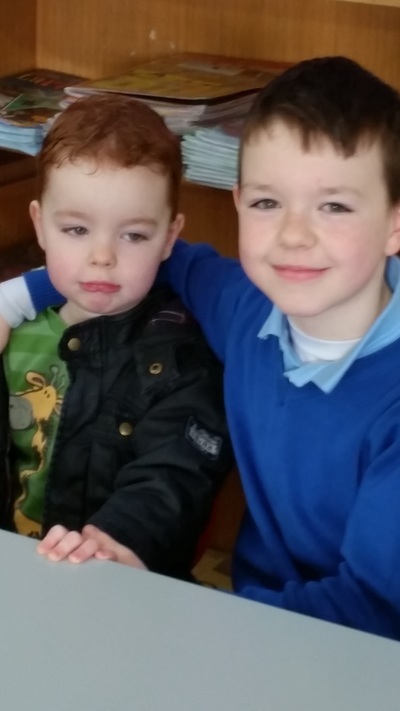 On Pancake Tuesday we had so much fun making Pancakes. 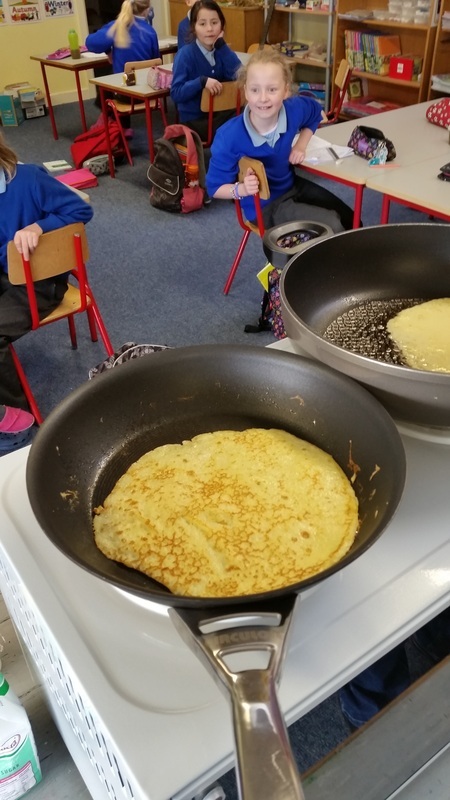 We brought the new cooker into our classroom and Mary and Miss both cooked yummy pancakes for us to taste. 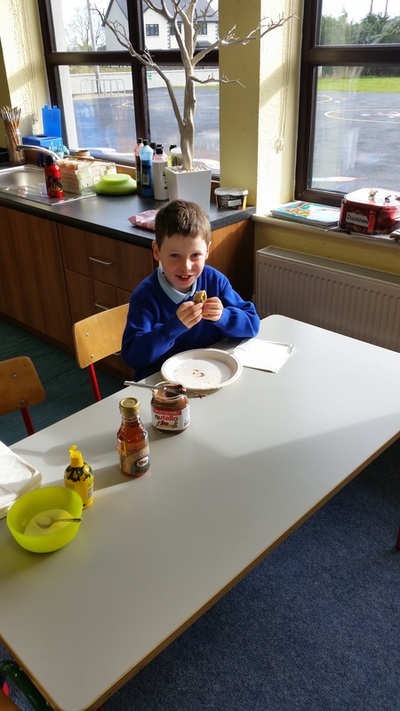 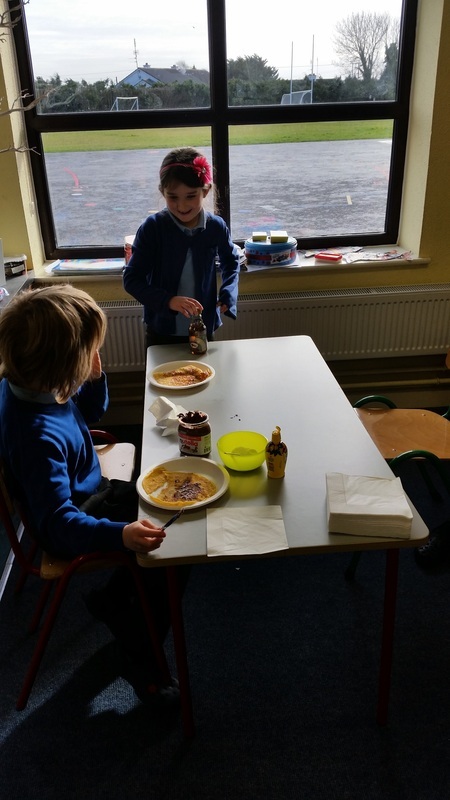 We had lots of different toppings to chose from - lemon & sugar, Golden Syrup and Nutella! 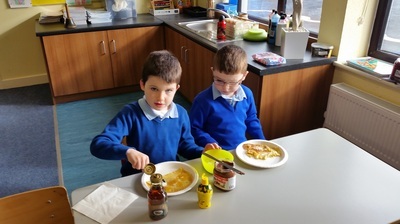 Pancakes are made by mixing flour, milk and eggs together. 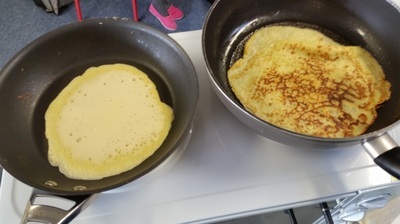 They only take a few minutes to cook in a frying pan. 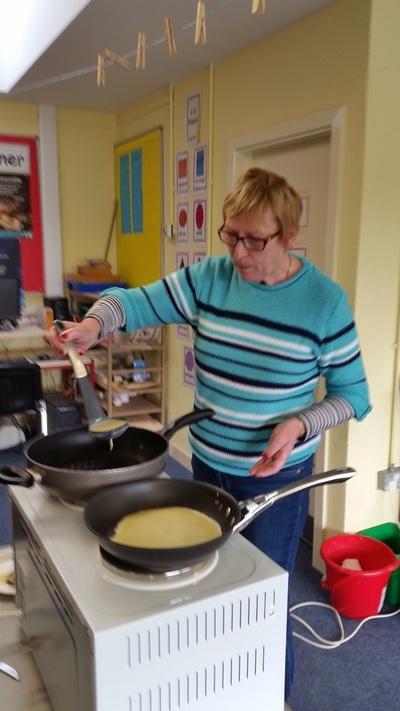 It was great fun to see teacher flipping the pancakes up high. 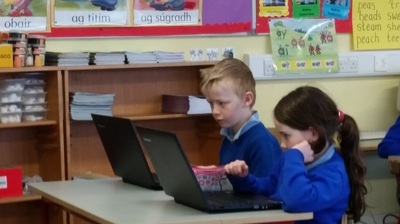 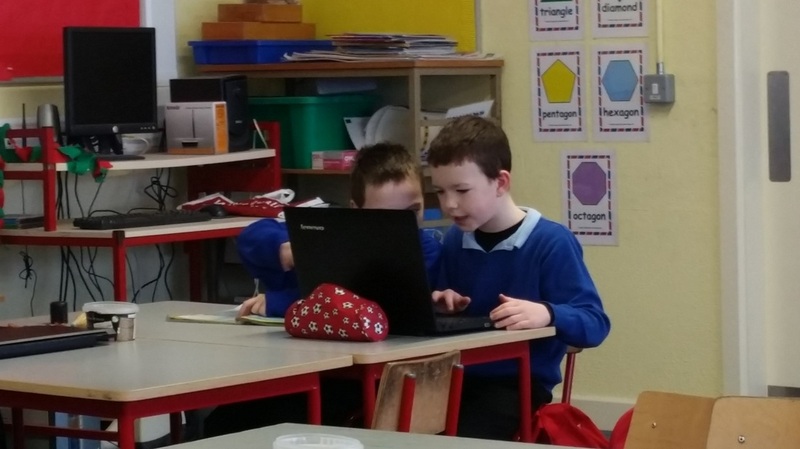 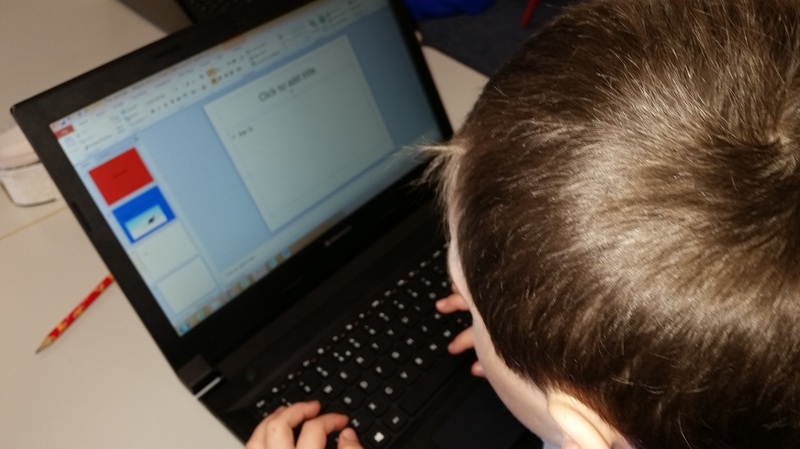 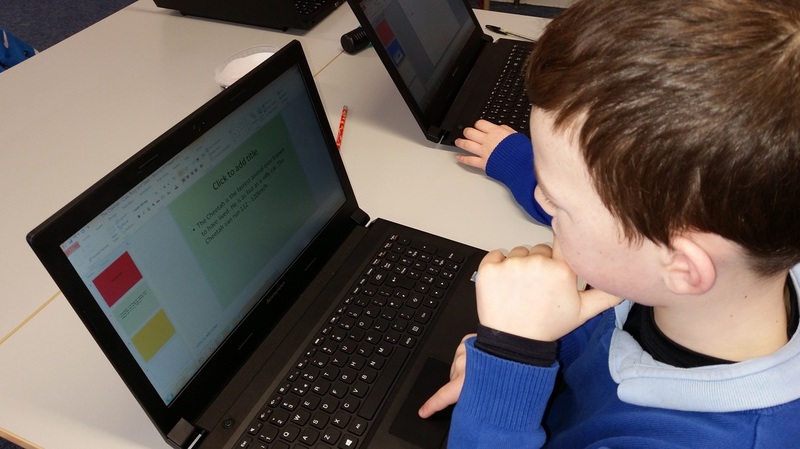 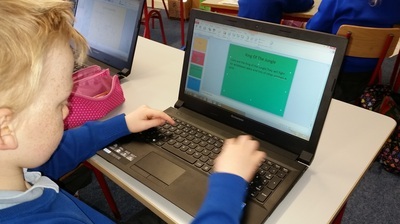 We are having great fun using our new laptops in school. 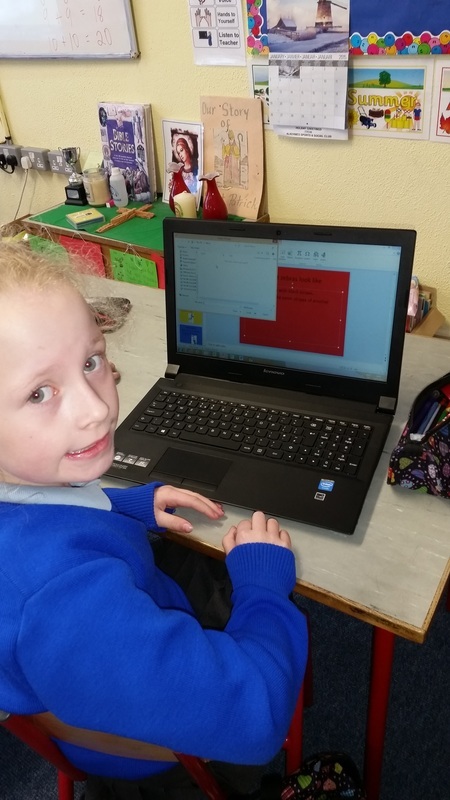 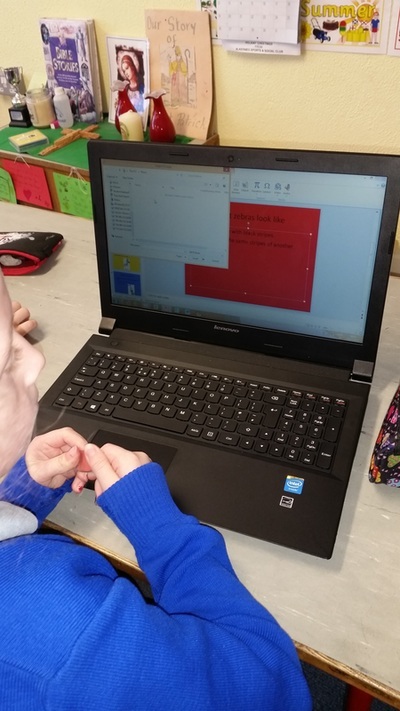 This term we learned how to do Powerpoint presentations. 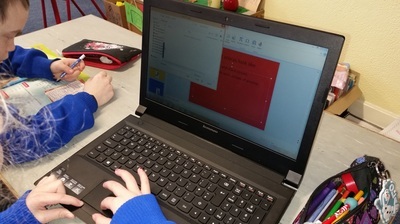 In groups we made a presentation with 4 slides. We added different backgrounds. Then we decided on a topic. 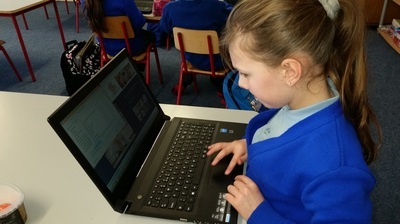 We wrote about it and inserted pictures we saved from the internet. 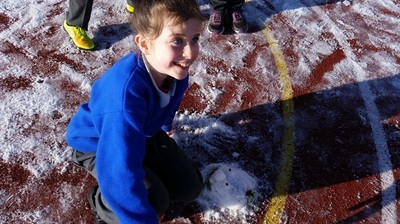 Here are some photos of us working on our creations. In early January we had a sprinkle of snow. 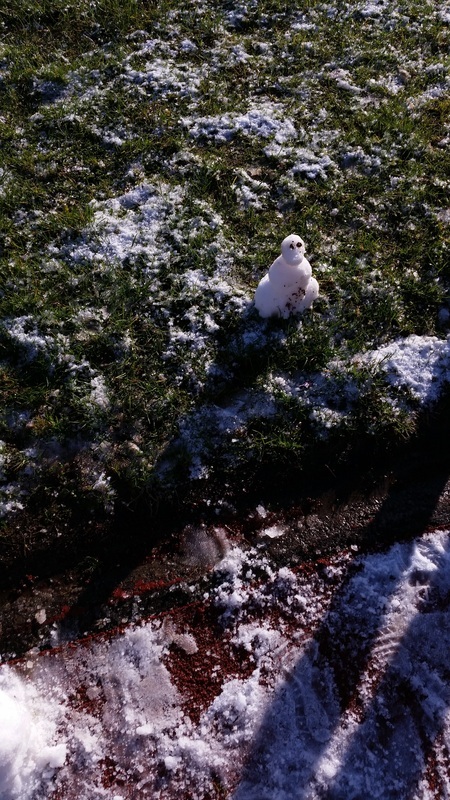 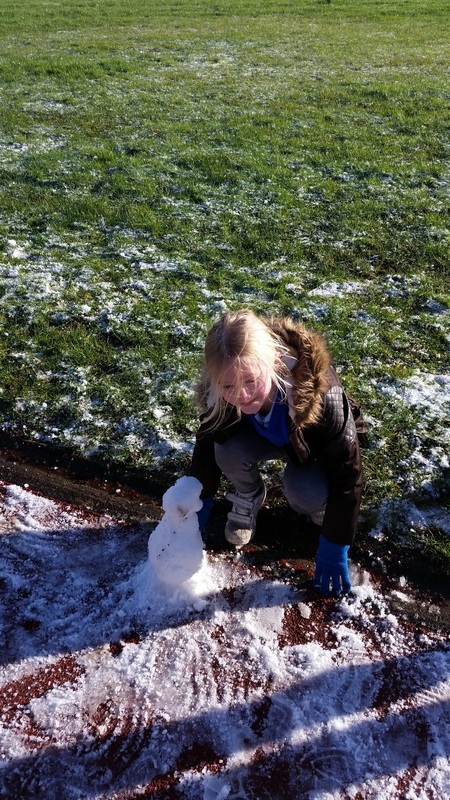 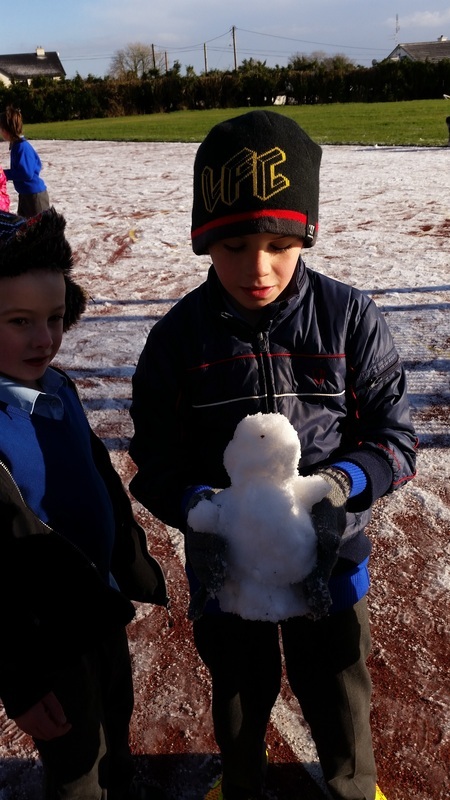 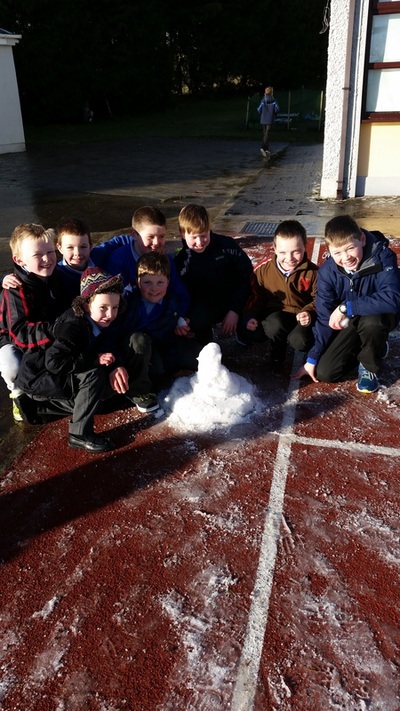 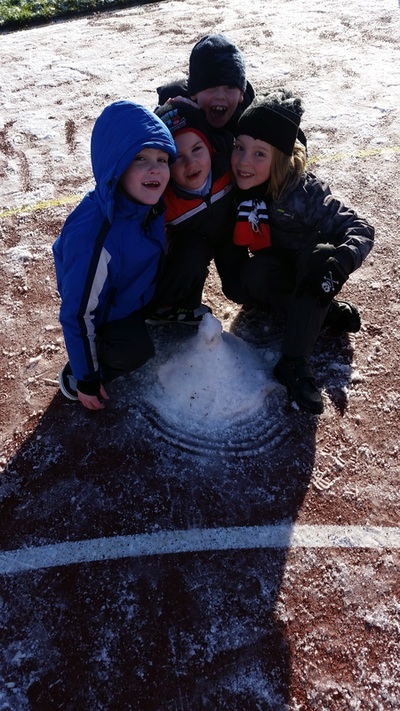 We had great fun in the playground at lunch time making snowpeople.